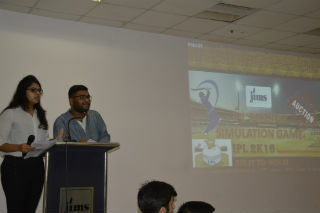 INVESTOFIN - The finance club of JIMS organized the IPL Bidding Simulation Game on Saturday, 27th August 2016 for the students of PGDM – General, International Business and Retail Management. 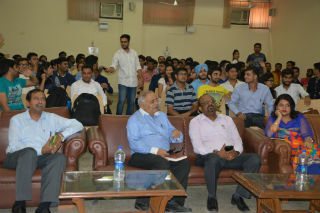 The activity aimed at showcasing the team management and the decision making skills in students. 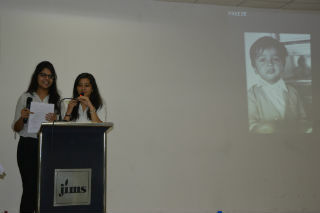 Also, giving a brief idea about real time auctioning and bidding, funds management and portfolio management to students. 31 teams registered themselves to participate in the competition and each team consisted of 3 members. 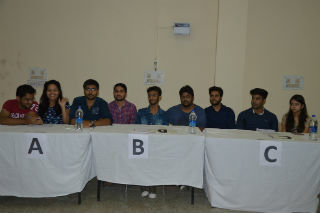 All the registered teams have gone through the screening process which was the preliminary round. A written test was conducted which was comprised of general awareness in business world, financial knowledge and current affairs on cricket. 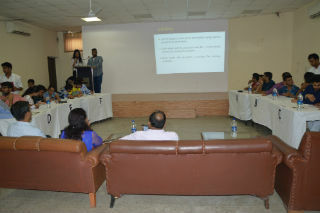 On the basis of marks in the preliminary round, top 6 teams were selected which underwent the process of bidding. The selected teams were given 7 crores of virtual money and asked to prepare the team of 8 players. The portfolio should consist of 3 batsmen, 3 bowlers, 1 wicket keeper, 1 all-rounder. Also in this portfolio, 5 players must be Indian and 3 players must be Foreign. Any team not meeting the above mentioned criteria would directly be disqualified. During the process, after every bid of 10 players, all 6 teams were given time for making further strategy. The evaluation was done on the basis of the credit scores. 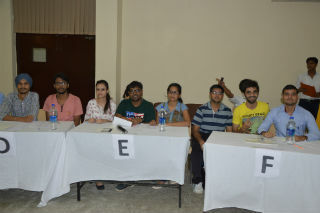 The competition was evaluated by the finance club coordinators. One coordinator per team was assigned for the evaluation of credit scores and amount spent on buying the players. Teams with top three credit scores were declared winners and runners up. All the teams were well appreciated. The top three winning teams were give certificates and prizes. Overall, the event was well appreciated by the students, and staff members.